We are looking for testers who can help us improve the beta version before its official launch. 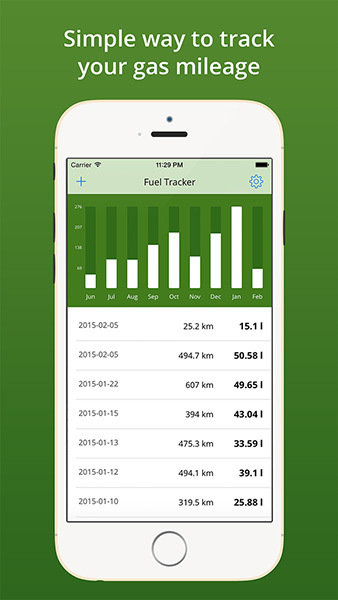 FuelTracker is the ultimate app for tracking your vehicle gas consumption and mileage. A simple, easy to use application to calculate and track your gas mileage (fuel economy/efficiency). When you buy gasoline, just enter the amount you purchased and your current odometer value. FuelTracker will calculate your gas mileage, maintain a log of your purchases, and display plots and statistics for your data. Track fuel logs including quantity, price and odometer. Supports both US and SI unit. Stores all data on the device – doesn’t use your data plan. Totally free with no ads. Have any feedback or suggestion?